Upon perusing the local paper of my hometown, I found this and thought you all might think it was interesting. 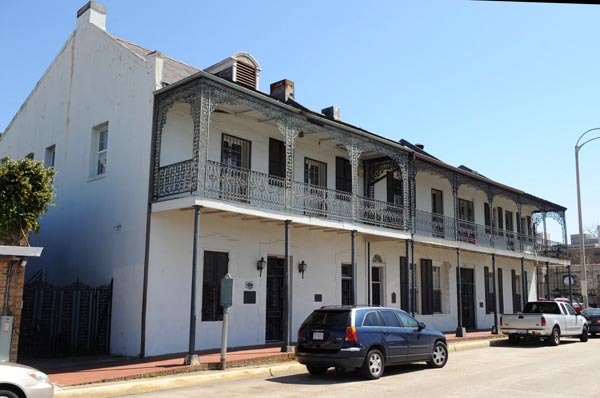 The Lafayette Building, an 8,000-square-foot property, was built in 1762. The building is actually two adjacent buildings of Spanish-Colonial architecture. The article states, "The north building is believed to have been built in the mid-18th century probably during the time that Louisiana was a province of Spain. It is said that in a previous restoration of the building, workmen found a board dated 1762, leading some people to believe that the building was built in that year. A historic marker says the Lafayette Buildings were erected in 1762 and describes them as the “legendary site” of the Marquis de Lafayette’s visit in 1825". In 1978, the building was listed on the National Register of Historic Places.